Clothing in the 1903 time period was very different from today. Most of the clothes were still handmade. Most of the body was covered regardless of the outside temperature. 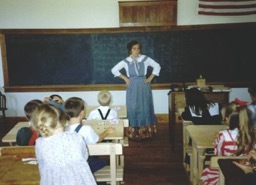 Participants at the one room school are encouraged to dress in appropriate costumes for the period.